Sweet Basil, Ocimum basilcum, is an easy to grow tender annual herb used primarily to flavor tomato dishes, sauces, pastas, meat, fish, or to make pesto. It is found growing wild in tropical and sub-tropical regions of the world such as India, Africa and Asia. It has medicinal uses primarily for the stomach and associated organs. As for fragrance, basil is one of the most fragrant of the herbs. Used in your landscape to border a walkway will delight your senses as you pass along. 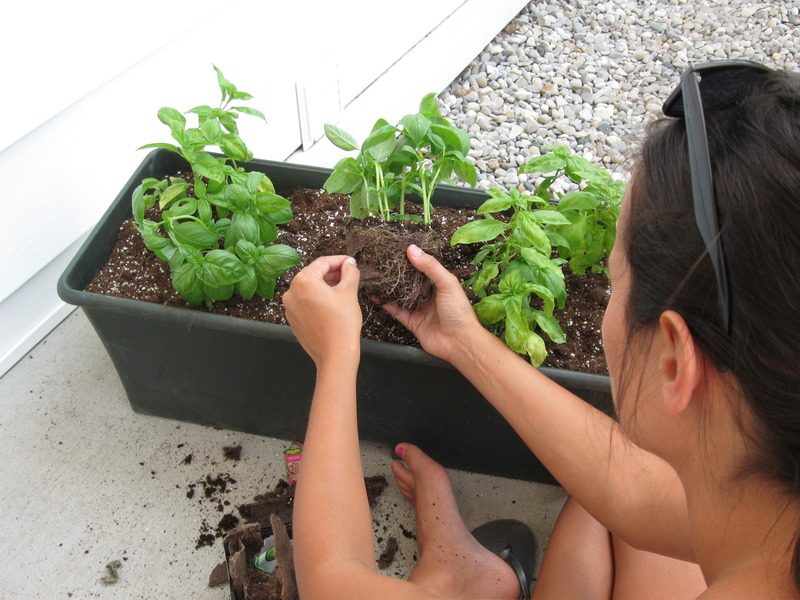 Grow basil near your windows or patio as it will fill warm summer nights with its strong, robust aroma. This is one of my favorite summer scents. In the meaning of plants and flowers, basil symbolizes friendship and would make a wonderful gift, especially for the host or hostess of a BBQ. There are many types of basil, so make sure you grow the one you want. Here are a few that I like. Basil loves full sun and the heat, and will not tolerate cold at all. Basil should be grown in temperatures above 60 degrees Fahrenheit. Sow seeds directly in the garden once required temperatures are met, or start indoors about 4 weeks before transplanting outside around June 1. Space 12”-18” apart, depending on the variety. Smaller varieties can be planted closer together. When you transplant, remove from container and loosen the root ball, then plant at the same depth that it was growing in the container. If it was grown in a peat pot, make sure you remove the bottom of the pot and tear some of the pot. Basil loves to grow next to tomatoes and also grows well in containers, but doesn’t like to grow under dry conditions which most herbs tolerate. These basil plants are being planted with an OMRI approved Waterhold Cocoblend Potting Soil by Black Gold into a self watering container. This should be a great combination for this busy Urban Farmscaper allowing the need for weekly watering and minimal care. The container fits well on the small porch of her apartment too. 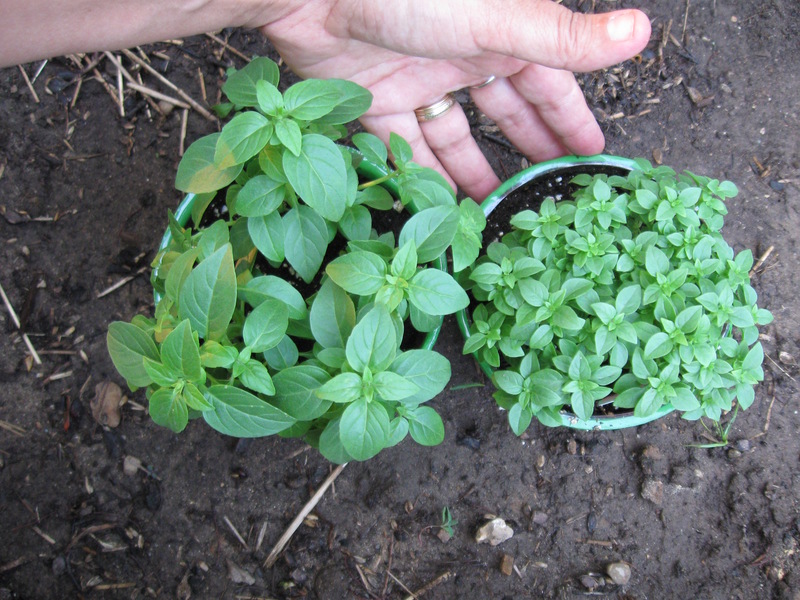 This is Genovese Basil, and are planted closer that the recommended spacing. Notice how they are staggarded. Hopefully this will allow enough space and enough basil for a future pesto party! You can harvest the leaves by pinching or cutting the main branch prior to any flowers developing, leaving the new shoots that are at the side of the main stem. These will grow and you will be able to harvest them in about 3 weeks. Best to harvest early in the day, prior to flower development. Continue harvesting throughout the summer, with the final harvest being of the whole plant about our first fall frost date of September 30. You could possibly transplant to a pot and bring indoors, but basil seeds are so easy to start, you may want to start indoors with a fresh plant. 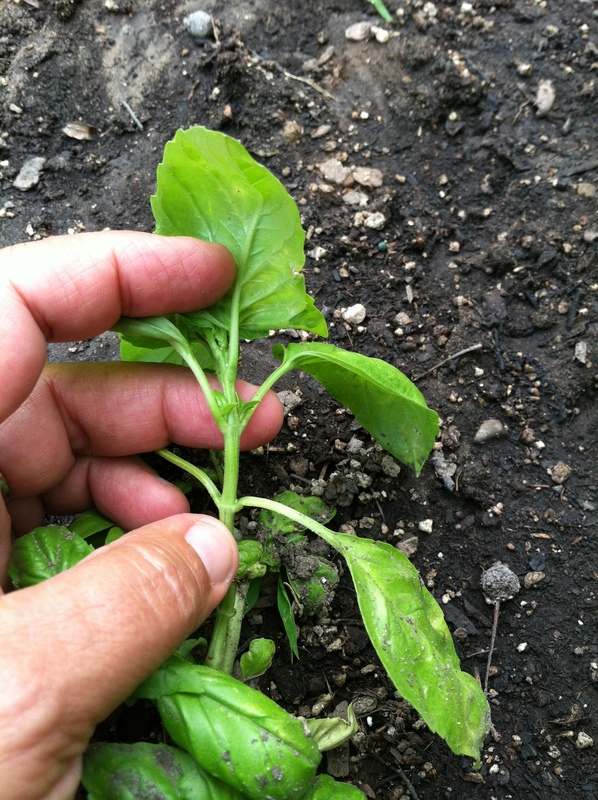 PInch back or cut the main stem just above a set of leaves. Use the harvested part and then two more stems will soon develop where the lower leaves and the stem meet. You can see new ones waiting to grow in this picture. Soon you will be doubling the amount of basil you are growing. Gently wash the leaves and place what you don’t use in a glass of water and leave on your counter. Don’t refridgerate, remember, basil doesn’t like to be cold. Best used fresh, but if that’s not possible, I have found drying to be the easiest method. Basil will bruise and turn black, so be careful with the leaves when washing them. To dry them, hang them upside down in small bunches (6-8 stems) out of direct sunlight, where there is good air circulation. If there is nowhere to hang them, remove individual leaves and place in a small brown lunch sack. Gently shake each day. Once thoroughly dry, you can place in a jar. Much of the flavor is lost to drying, so I LOVE to make pesto and freeze it. It keeps it beautiful green color because it is preserved in olive oil. There is nothing like opening a container of pesto in the winter and making some bruchetta. I will share my pesto recipe later this summer during my Pesto Party post. In the mean time, enjoy it while it’s fresh! 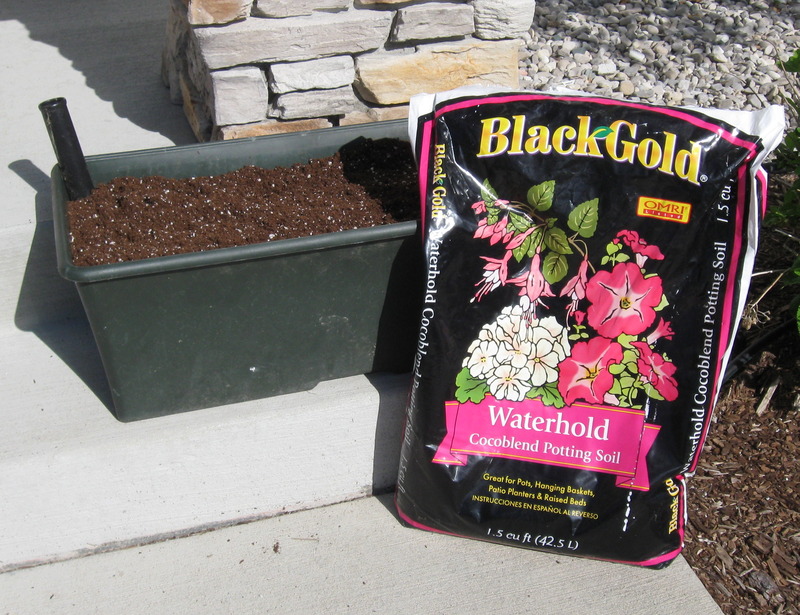 For more information about Black Gold and their OMRI approved soil mixes, visit their website at http://www.blackgold.bz/ I have had really good results. It mean to harvest the “main stalk”? Do you have pictures that could help me? Will add a new picture right away with further explanation. Thanks for bringing this up. Great question, thanks!